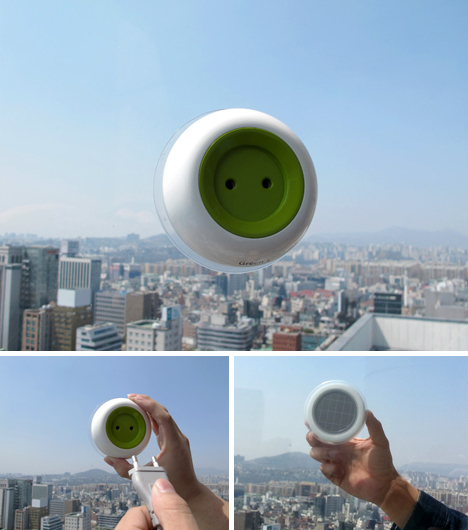 With batteries running low, your eye roams the room for a place to plug in, but then you remember: you brought your own power supply – all you need now is a window. 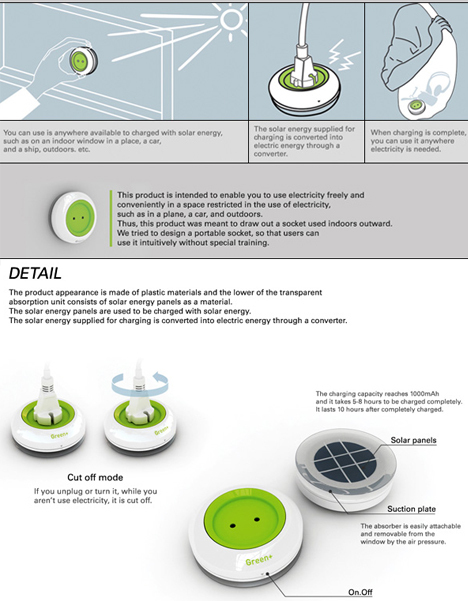 Portable, easy and green, this solar socket design is a stroke of genius, able to both generate and hold a charge. 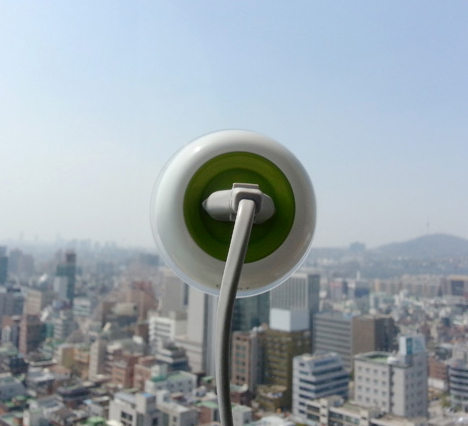 A suction cup lets you stick the converter to any flat glazed surface, putting photovoltaic panels on the outside and a customary energy outlet on the other. And if you are worried about what happens at night or in overcast conditions: the device itself can store energy for in-place or mobile use. Kyuho Song & Boa Oh have added a few other functional quirks to the design: rotate your charger plug and you kill the power, spinning a circular cut-off switch built into the face plate. There is a second manual on/off switch on the bottom as well.